The Hollywood Reporter brings today’s movie news mad-libs by reporting that Guy Ritchie, famous for his London-set gangster films, will direct the live-action version of Aladdin for The Walt Disney Studios. John August has penned the script for the film, which will reportedly keep the musical elements of the 1992 film. In addition, THR notes that Ritchie will approach the film with a non-linear presentation. Dan Lin (Sherlock Holmes, The LEGO Movie) will produce the film under his Lin Pictures banner. So maybe he will cast Madonna as Princess Jasmine? Pinto = PERFECT casting! But with her, I think it would be really hard to find the perfect Aladdin... Is Kumar available? Love Guy Richie movies, expect may be Sherlock like Marc mentioned above, but still looking forward to this. Kumar? LOL! Dev Patel would be a great Aladdin! Wtf! Guy Ritchie making Aladdin! I'm not sure if that's genius or f*cking bat sh*t crazy! Serioulsy though is this real? Oh don't, you know depp would of been the genie. Disney’s Live-Action Aladdin Cast Revealed! The Walt Disney Studios took to the stage at D23 Expo this weekend and surprised the world with the official announcement of the two leads for their live-action Aladdin movie. Mena Massoud (The 99, Jack Ryan) will play the titular street thief, with Naomi Scott (Power Rangers) set to play Jasmine. 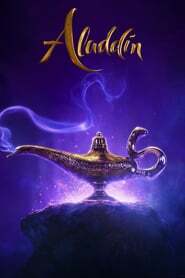 The studio also confirmed that Will Smith will play the role of the Genie in the film and that it will not only borrow plot elements from the original animated movie but also its basis, 1,001 Arabian Nights. My first reaction to Will Smith being Genie was "HELL NO!" The I gave it a second and realized nobody can touch Robin Willams' version. Nobody. So at least Smith's version will be different enough and could probably work. Will smith as the genie???? Just hope Mr Smith be his own genie and not try to replicate the genius of the late Mr Williams. Yeah. I would assume MoCap. And he would be CGI. I'm unsure about Smith playing Genie too (shame Williams isn't still alive to do), but Aladdin and Jasmine look spot on!